This SPP has been removed from HPE, so download the newer version at bottom of this post. 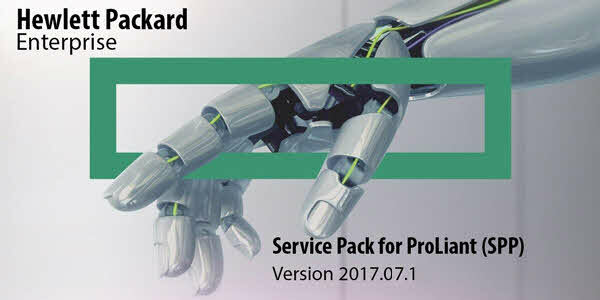 HPE has released “HPE Service Pack For ProLiant 2017.07.1 (HPE SPP)” for ProLiant servers and it’s available for download now. The Service Pack for ProLiant (SPP) is a comprehensive systems software and firmware update solution, which is delivered as a single ISO image. This solution uses Smart Update Manager (SUM) as the deployment tool and is tested on all HPE ProLiant Gen9 and Gen10 servers as defined in the Service Pack for ProLiant Server Support Guide found at www.hpe.com/servers/spp/documentation. Multiple server generation-specific “Post-Production SPPs” that contain the firmware and drivers for a specific post-production server generation (e.g. Gen8 only Post-Production SPP that contains the firmware and drivers for all of Gen8 server models). Previous story iLO 4 Firmware Version 2.53 Bug! https links are not available. Unfortunately, there is no support for G6 servers.